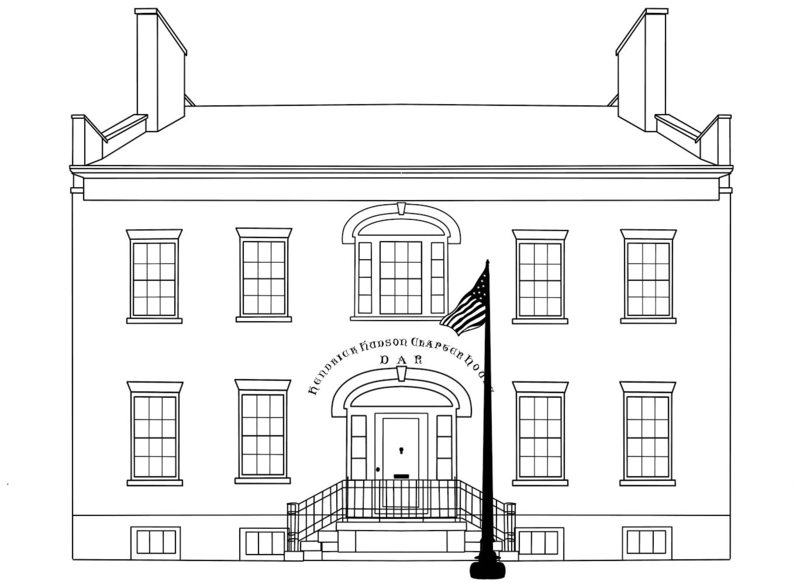 The Robert Jenkins House, owned by the Hendrick Hudson Chapter, NSDAR, stands as downtown Hudson’s only museum. In 1783, a number of people from Nantucket and Martha’s Vineyard in Massachusetts, and Providence, Rhode Island, left their homes to start a new settlement. A group of 30 were named to a committee called “the proprietors.” They chose Claverack Landing, which later became Hudson. The purchase was made in the name of Thomas Jenkins and deeded by him to the proprietors. Among the first to arrive were Thomas Jenkins and his brother, Seth. By the spring of 1784, the rest of the proprietors came with their families, many of whom were Quakers, including the Jenkins family. The purchase of Claverack Landing was the starting point for Hudson to become a thriving city and whaling port, as fine houses went up and businesses were established. The man who was to become Hudson’s first mayor, Seth Jenkins, Sr., purchased the land where the Robert Jenkins House now stands in 1792. Robert Jenkins, the third and fifth mayor of the City of Hudson, built what is now the Chapter’s beautiful, Federal style home in 1811, residing there until his death in 1819. The house was given to the Hendrick Hudson Chapter, NSDAR, by his granddaughter, Frances Chester White Hartley, in 1900. The Hendrick Hudson Chapter, NSDAR, was organized in 1896 and incorporated in 1972. With any comments, please contact the webmaster.